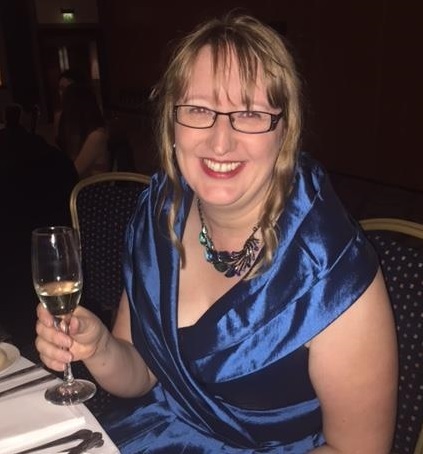 The Women’s Fund for Scotland Development Manager, Shona Blakeley was one of just three nominees for the Institute of Fundraising’s Fundraiser of the Year award at the annual Awards dinner in Glasgow last night. It was a great evening showcasing all the inspirational fundraisers and volunteers that are dedicated to such vital causes. The Awards ceremony highlighted the hard work of a diverse range of charities from MacMillan Cancer Charity to Alzheimer Scotland and Erskine Caring for Veterans as well as SCiAF, Ayrshire Hospice and Seamab. Shona is responsible for raising funds for community groups that empower women and girls to reach their full potential. She has excelled in her role by raising over £800,000 over the past 18 months. Fiona MacLeod, Chair of the WFS Board said “Shona is a force of nature who does the work of a trojan with an infectious enthusiasm and in depth knowledge of professional fundraising Thousands of women and girls across Scotland have been able to build better lives for themselves and their communities and will continue to do so thanks to Shona’s efforts”. Fundraiser of the Year was awarded to the very deserving, Dean Widd from Muscular Dystrophy UK. Congratulations and well done to all nominees and winners. for their achievements. The Volunteer Fundraiser of the Year for MacMillan Cancer charity, Dr Fi Munro was especially heartfelt as she received a standing ovation for her fundraising success. There was a touching tribute to Anne Ward as an award was given in her memory. Thank you to all the fundraisers and volunteers out there working hard to create positivity in someone’s life.